Odour-B-Gone is a tablet form of compressed per-oxy salts; it contains no fillers i.e. it is made of 100% active ingredients. 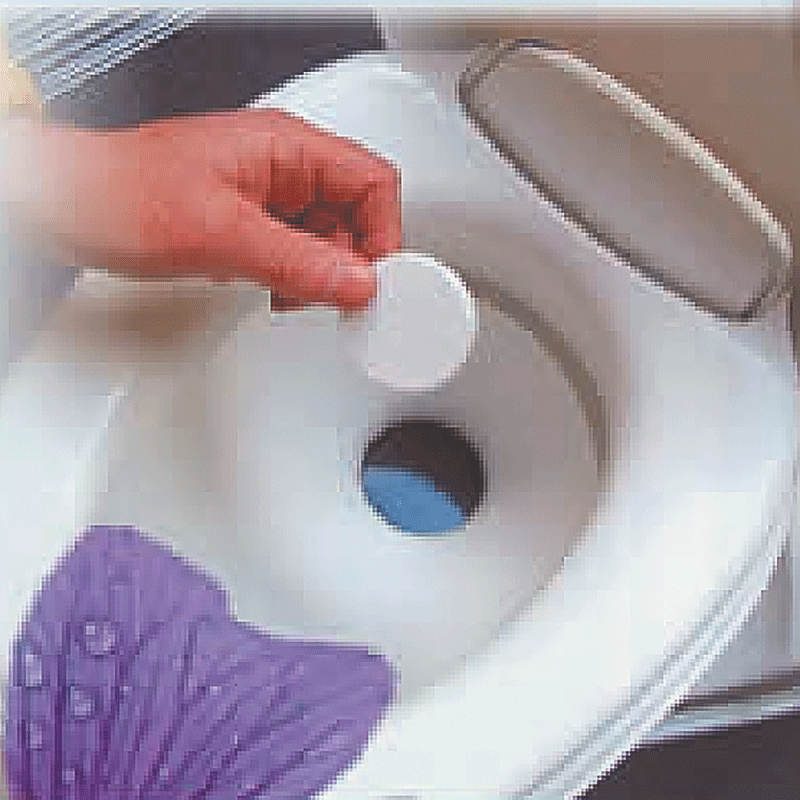 The tablets slowly dissolve in the holding/ waste tank of the portable toilet over a 7 day period, releasing hydrogen peroxide which is known for effective bleaching, deodorising & sanitising.